Add some subtle detail to your suits with Mont Pellier's new braided leather belt in elegant cognac brown. 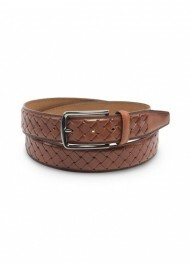 A fantastic belt for suits in navy, tan, and olive. Although a great belt to wear with your suit, it is perhaps even better suited for a more dressed down look in combination with trousers, jeans, and even shorts.